We usually come across drink and driving cases where drunk drivers crash their cars under the influence of alcohol causing damage to property and life. So here we propose an innovative system to eliminate such cases. Our proposed system would be constantly monitoring the driver breath by placing it on the driver wheel or somewhere the drivers breath can be constantly monitored by it. So if a driver is drunk and tries to drive the system detects alcohol presence in his/her breath and locks the engine so that the vehicle fails to start. In another case if the driver is not drunk while he starts the vehicle and engine is started but he/she drinks while driving the sensor still detects alcohol in his breath and stops the engine so that the car would not accelerate any further and driver can steer it to roadside. In this system we use an AVR family microcontroller interfaced with an alcohol sensor along with an LCD screen and a dc motor to demonstrate the concept. 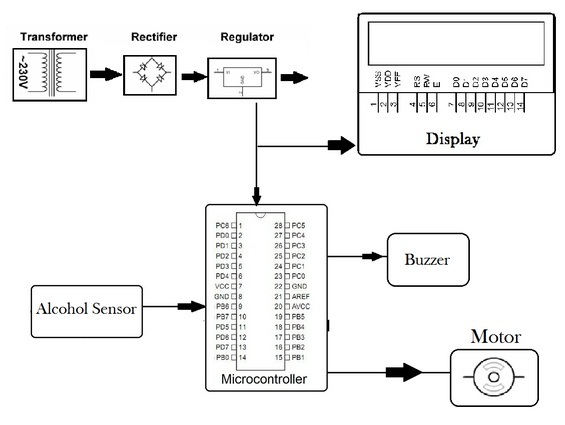 So here the alcohol sensor is used to monitor users breath and constantly sends signals to the microcontroller. 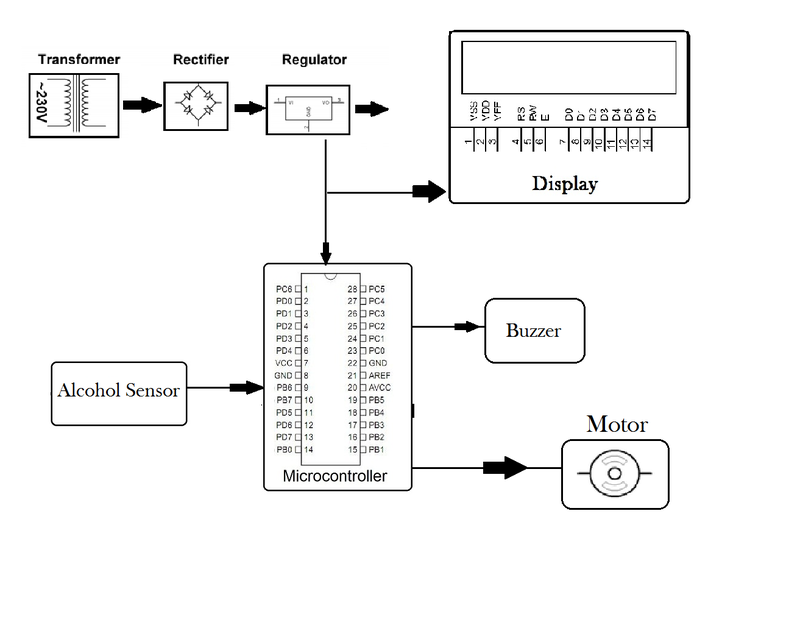 The microcontroller on encountering high alcohol signal from the alcohol sensor displays alcohol detection note on LCD screen and also stops the dc motor to demonstrate as engine locking. 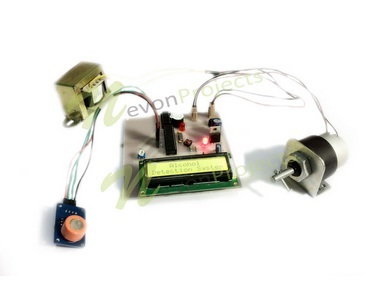 The system needs a push button to start the engine. If alcohol is detected at the time of starting the engine the engine does not start at all. If alcohol is detected after engine starting, the system locks the engine at that time.